Your update caused it to glitch! 5/2018 Update: This game is still way worse than it used to be. On top of my prior complaints, now I’ve lost all of my blades and dojos and the game is just about unplayable on the iPhone X due to the swipe gestures. Now no multiplayer, stupid IAP, and ads. Ads? I payed for this game and it's been completely ruined and unplayable. Here's a good example of a game that has been completely ruined by freemium. I really really love this game but i would love it if u can bring event items such as the bat blade into the classic fruit ninja.I think a lot of people play both free and payed version and I think people would love to bring event items from the free version to the paid version. Great game. Always loved it. Cherries are a great fruit. Cherries are the best fruit. Not fake cherries. The best cherries. Please add cherries. 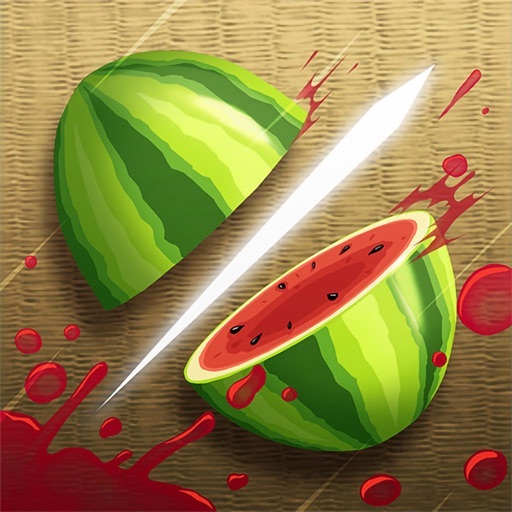 I love fruit ninja! My only problem with this version is that my favorite part of fruit ninja was the mini games. Please bring them to this version! Between the classic & non-classic versions? My other review was from a while ago. I am SO happy they got rid of all that stupid star fruit and now you can just play the game like it was supposed to be! I think all that star fruit stuff is crap and that you should earn the blades by doing stuff. I have been playing Fruit Ninja since it came out all those years ago and then when they released the star fruit I stopped playing Fruit Ninja. Thank you Halfbrick Studios for removing star fruit! Every time I click I mean slice watch the app crashes. Also can you make the app more fun? So many new blades!! Oh, sorry, did I say blades? I meant bugs. So many new bugs. Comet blade no longer creates the gravity waves Piano blade gets rid of bananas instead of turning them into frenzy bananas If I get a notification, like low battery, the game will think my fingers are where ever they had been when it popped up, and sparks or stars or what ever visual effect of the blade I was using will stay flying out of the spot. It will only go away when I force quit the app. If I used two fingers, the game will act like I'm using four and switch apps. Then when I come back, the game thinks I'm still touching my fingers there and will tap or cut anything underneath until I force quit the app. This has happened when I'm only using one finger a few times as well. Also, as someone on level 54, I would like to be able to earn more blades when I reach new levels. There's a blade on level 60 and level 100. It's just not as fun.